Mobile devices have changed how and where we consume video and music. Nonetheless, the Mac remains a great way to experience both of these forms of entertainment. Whether you’re using your laptop to watch Netflix in bed, or want to stream some downloaded files to a TV in the next room, improve your experience with the following third-party applications. The centerpiece of most living rooms today are large, flat-screen televisions. As the price continues to fall on these products, these “idiot boxes” have also found a home in our bedrooms. When you want to watch video elsewhere, but find that your mobile screen is too small, turn to Mac. Dish Network’s Sling TV (by subscription) first arrived on the scene in early 2015. 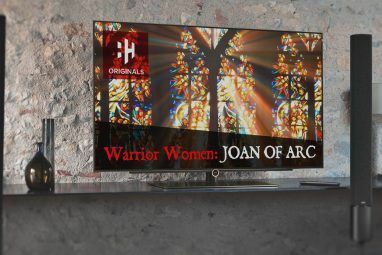 The internet television service aims to complement subscription video on demand services for cord cutters. Though marketed primarily towards the mobile community, Sling TV is also available through smart TVs, digital media players The 8 Best Devices for Streaming Movies to Your TV The 8 Best Devices for Streaming Movies to Your TV There are several ways to stream media to your TV, and deciding which way is right for you can be overwhelming. Let us help you explore what's currently available. Read More , and yes, on Mac. 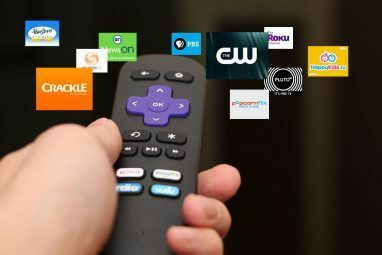 With a Sling TV subscription, you can access some of the most popular TV channels for $20 per month, including AMC, ESPN, and The Disney Channel. Best of all, Sling TV customers aren’t required to sign a contract after subscribing. Many find that watching Netflix on a computer is a tedious process. Because of this, there is a growing list of Netflix-based applications on the Mac App Store. Among these are App Flix Pro and Flix Streaming. With App Flix Pro [No Longer Available] ($9.99), you can watch Netflix shows and movies without using a web browser. It features fast searching, gestures to go back and forth, and more. 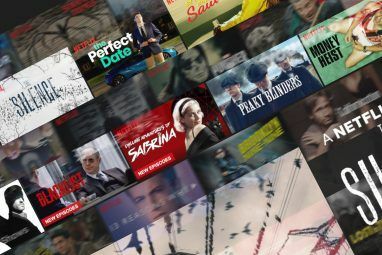 Flix Streaming [No Longer Available] (free with premium options), meanwhile, is one of the few Netflix Mac applications that doesn’t require Silverlight. Take that, Microsoft. Promoted as a mobile product like Sling TV, Google’s Chromecast ($35) also works with Mac How to Cast Local Media From Your Mac To Chromecast How to Cast Local Media From Your Mac To Chromecast You can cast any movie, music, or photo from your Mac's hard drive to the big screen. It's just a matter of knowing which apps and tools can do it. Read More . The tiny digital media players provide content mirroring from the Google Chrome web browser 5 Ways To Enhance Your Netflix Account In Chrome 5 Ways To Enhance Your Netflix Account In Chrome The Netflix interface could use a little improvement, so I've found some Chrome extensions to make my Netflix account look prettier. And no, it doesn't involve a bit of lipstick and some rouge. Read More . Chromecast, which launched in 2013, allows you to stream audio and video content from the internet or a local network to various devices, among other things 7 Things You Didn't Know You Could Do With a Chromecast 7 Things You Didn't Know You Could Do With a Chromecast You have finally taken the plunge and bought yourself a shiny new Chromecast, but what happens next? Here are seven things you didn't know you could do with one of Google's dongles... Read More . These include mobile devices, computers, and HD televisions. TubeTab for YouTube ($4.99) adds a menu bar button to your Mac, where you can search for any YouTube video, and click to play inside the app. You can also drag and drop a video URL, resize the window, keep it on top, or just make it play the audio with the video in the background. PS3 Media Server (free) is a DLNA-compliant UPnP media server that sends your media to other devices around the house. Originally released to support the PlayStation 3, PS3 Media Server has been expanded to support a range of other media products, including the Xbox 360, various televisions, as well as mobile devices. Written in Java, PS3 Media Server streams or transcodes many different media formats 6 UPnP/DLNA Servers for Streaming Media to Your Devices 6 UPnP/DLNA Servers for Streaming Media to Your Devices UPnP devices are able to see and communicate with one another, and one of the best uses for this technology to stream media around the house. Read More , including FFmpeg and MPlayer with minimum configuration. Kodi (free), once called XBMC, is an open-source media player available on multiple platforms. 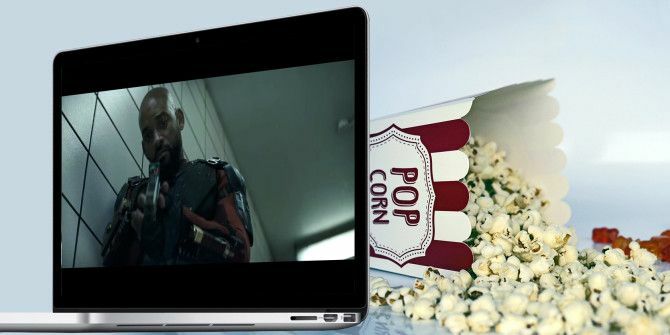 It allows users to play and view most streaming media, including videos, audio, podcasts, and videos from the internet, plus common digital media files from local and network storage media. The Plex Media Server (free with premium options) is also a great entertainment option 20 Unofficial Plex Channels You Should Install Right Now 20 Unofficial Plex Channels You Should Install Right Now With the Unsupported AppStore, you can unlock new Plex content to watch. Here are the best unofficial Plex channels to install. Read More available on Mac. It allows you to stream audio, photos and videos from personal media libraries to various players, including mobile devices, smart TVs, and streaming boxes. If you own an Apple TV, you can use AirPlay Mirroring Still Unsure If You Need an Apple TV? Here’s What It Can Do Still Unsure If You Need an Apple TV? Here’s What It Can Do On the fence about what seems like yet another expensive Apple purchase? Check out what you can do with an Apple TV and decide for yourself. Read More (free on Mac) and wirelessly stream Safari and QuickTime Player video content from your Mac. To get started click the AirPlay icon in the menu bar at the top of your computer screen, then choose your Apple TV to turn on AirPlay Mirroring. Everyone knows that Macs come with iTunes installed. However, when you’re looking for new ways to access and listen to your favorite song titles, consider one of these third-party applications. First introduced in 2013, the freemium Vox Player (free) can handle a wide range of music files, including high-quality FLAC and MP3 files. With Vox, you can listen to music from your personal collection, iTunes, SoundCloud, or radio. When you subscribe to Vox’s Loop service, all of your music can be stored and is accessible from a cloud. Unlike other services, Loop offers infinite free space and unlimited offline cache. Better still, you can sync, stream, and cache your entire music library between your Mac and iPhone in full quality. Style Jukebox (starting at $4.99 per year) allows you to store your entire music collection in a cloud and play it at lossless audio quality on all your devices. This includes your Mac, Windows computers, iOS and Android devices, and through the web. Better still, you can stream or download your files at a high-resolution quality or use on-the-fly transcoding to save bandwidth and local storage. You don’t have to be a DJ The Best DJ Software For Every Budget The Best DJ Software For Every Budget Good mixing software can make all the difference in your performance. Whether you're using a Mac, Windows, or Linux, every level of skill and budget is catered for if you want to start DJing. Read More to enjoy Algoriddim’s djay Pro ($49.99). With Spotify integration, the application features 64-bit processing, multi-core track analysis, support for Retina and 5K displays, and graphics rendering at 60 frames per second. Still want to embrace iTunes? Emcee ($0.99) is a simple tool that puts the name of the current song on your Mac’s menu bar. From here, you can also pause the song and rate it. Want to learn more about the song and its artist? A “Search with Google” link is also available. Want a little bit more control and flexibility? Consider NepTunes ($3.99), a music controller, and scrobbler for iTunes. Instead of providing song information on your Mac’s menu bar, NepTunes places a small box that floats above your desktop. This box features an image of the song album, plus its title and artist. You can also change the volume, love the track, control playback, and move between tracks. Music Streamer for Pandora Radio ($4.99) allows you to listen to the iconic streaming service without installing Adobe Flash Player. The lightweight app lives on your Mac’s menu bar and Today View. Features include customizable shortcuts and background playback with now playing notifications. Smartphones and tablets have gained popularity in recent years. There are still times, however, when using a Mac for entertainment purposes is the way to go. Luckily, there are lots of ways to watch and listen to content on macOS depending on your needs. How to you consume video and music on your Mac? Explore more about: Media Player, Media Streaming, Netflix.